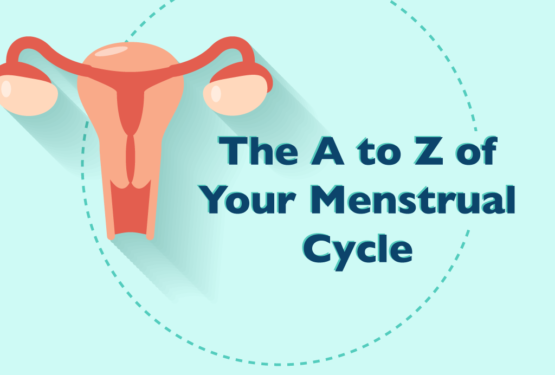 Because there really isn’t much of an objective methodology for trying these tampons out, this will be a personal review, so take these words with a pinch of salt as everyone’s body and period is different. If you’re looking for reviews on pads instead, you can read our articles on ultrathin pads and the premium ranges. Absorbency for this tampon was quite good, I used it on my heavy flow day, and it managed to provide a good 4 hours of protection without having to change. The tampon was saturated evenly by the time I changed it, which means that it absorbed efficiently without letting any blood sneak out. However, there was still a little bit of leakage (probably because I should have changed earlier), but nothing a pantyliner can’t catch. The Tampax Super also has its LeakGuard Skirt that will provide backup for any leakages that may happen, giving extra protection! 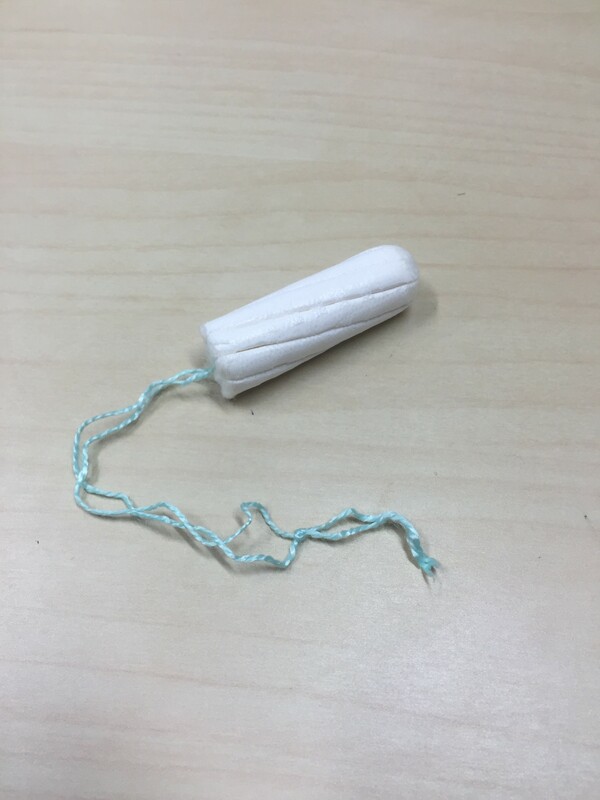 This tampon really packs a punch for it’s small size! I experienced no leakage whatsoever with this tampon, even after 4 hours of wear, and it was saturated evenly after I removed it. What else can I say? The absorbency for this tampon was pretty much as good as the U Tampons. 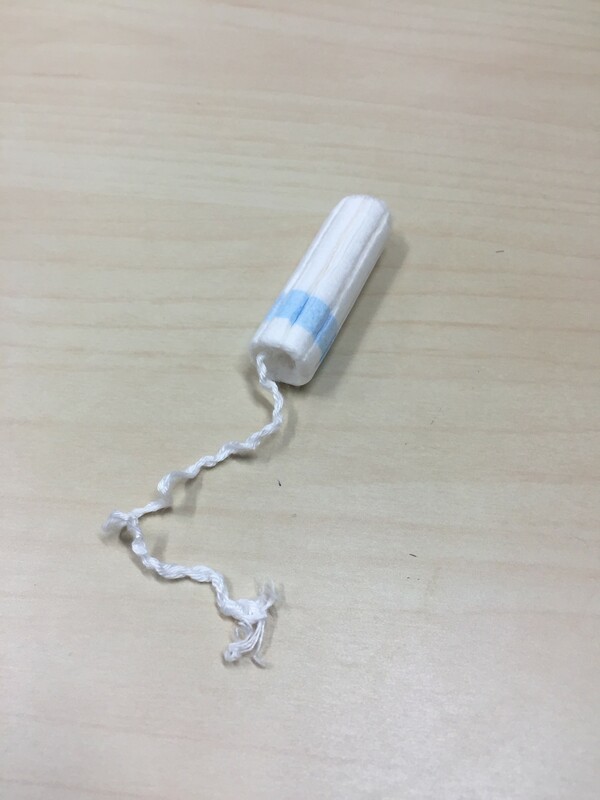 I know it is not good to leave them in too long, but I used this tampon for a good 5 hours, and even so, there was no leakage. This tampon has curved grooves that are meant to be better at directing the blood into the tampon, I’m not sure how that works, but I guess it worked as not a single drop of blood was leaked even though the tampon was saturated evenly at the end of the night! Wearing this tampon was super comfortable, because I basically could not feel anything by the time I had inserted it properly. The applicator also made insertion really easy and comfortable, because the cardboard applicator did not have any sharp edges that may potentially pull or poke (ouch!). 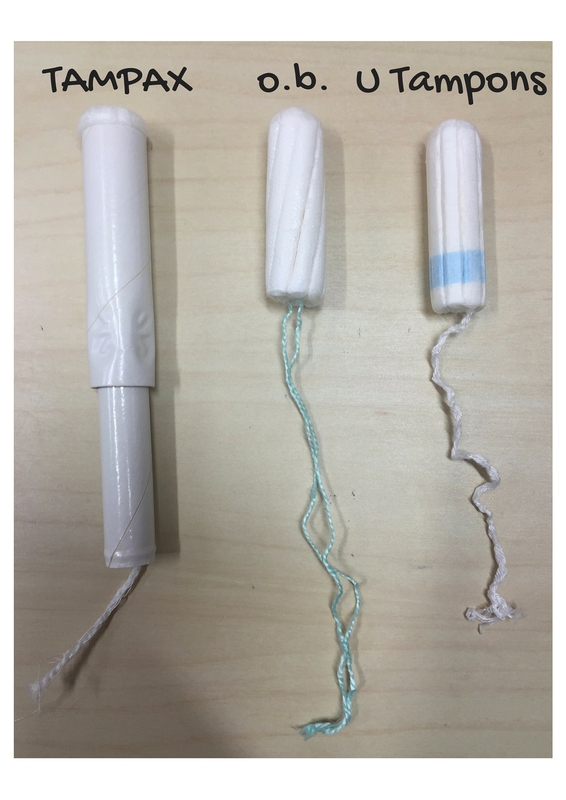 But note that the width of the tampon combined with the applicator is larger than that of the other no-applicator tampons, so if width is something you’re worried about, then maybe give this one a miss. Using the tampon itself was very comfortable, and the tampon was smaller in size than the Tampax super. However, the uncomfortable part of using the tampon was insertion. It does not have an applicator, so your fingers are going to have to do all the work, and if you (like me) have nails, then let’s just say that insertion is going to have to be a very… careful process. 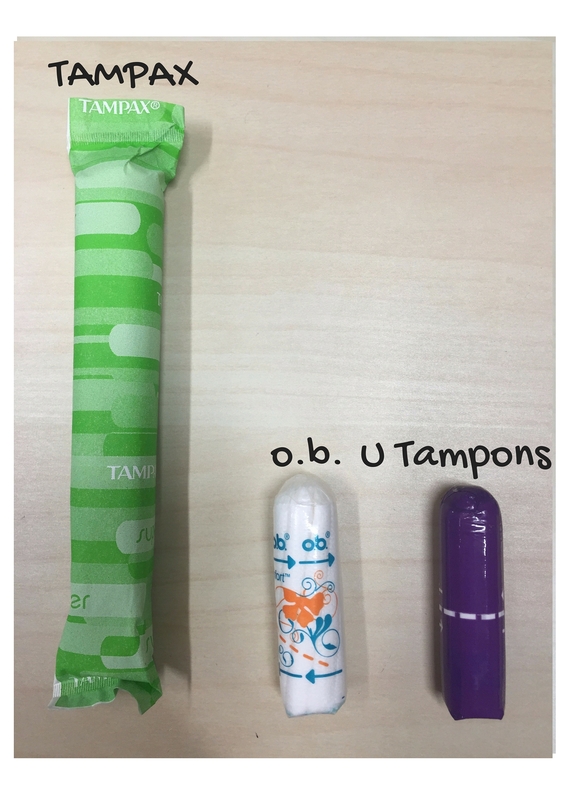 However, the U Tampons were the smallest of the bunch, with the narrowest width, so insertion for this Tampons should be easier in general. 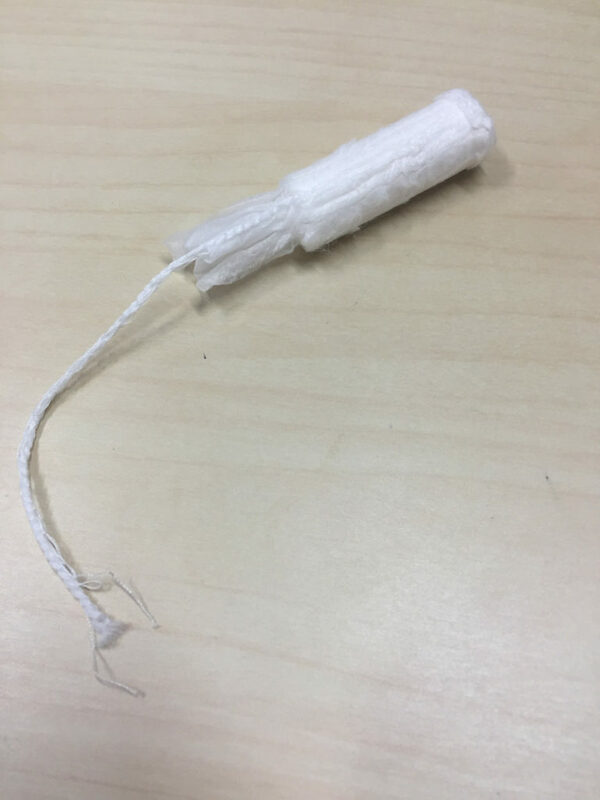 The tampon was as comfortable as the U Tampon, but it does not have an applicator either, so similar problems would be faced if you use this one. No discomfort was felt throughout the duration of wear, as well as during insertion and removal (it really is a just matter of getting used to it). 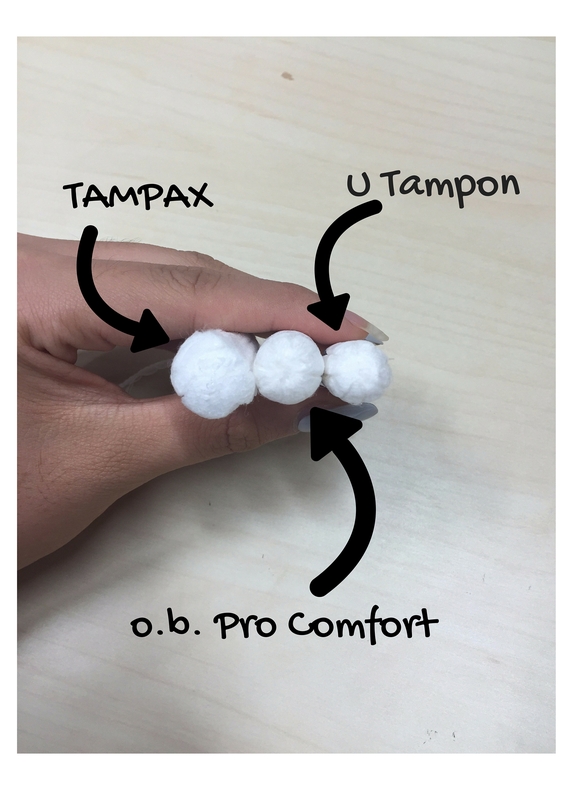 The cardboard applicator made insertion really simple and fuss-free, there are also Anti-Slip Grips on the applicator that prevent your fingers from slipping when you are pushing the tampon out of the applicator into your vaginal canal. This tampon does not have an applicator, so while it is really compact and easy to transport, note that you’re going to have to do all the work yourself. And if your nails are long, then make sure to be gentle when inserting! But if it matters at all to you, the tampons came in super cute colors! Like the U Tampons, this one doesn’t have an applicator, and it doesn’t come in cute colors either. I guess if you’re into the whole no-frills look, then this is the one for you! It was really difficult if any of these tampons were better than the other, but at the end of the day, I think it really just depends on your priorities. If the whole DIY insertion thing is a real turn off for you, then Tampax will be the way to go, with its easy-to-use applicator. But if the width of the tampon is a concern for you, the U Tampons are the slimmest of the lot. o.b. is good if you’re just looking for an option that will not burn a hole in your wallet in the long run, while getting the job done. Personally, after getting used to the insertion process, the lack of an applicator really was not an issue with me, so o.b. would be the choice I’d go back to, considering its price. But if you’re a first time user, then maybe stick to Tampax, then move onto the no-applicator options later on! 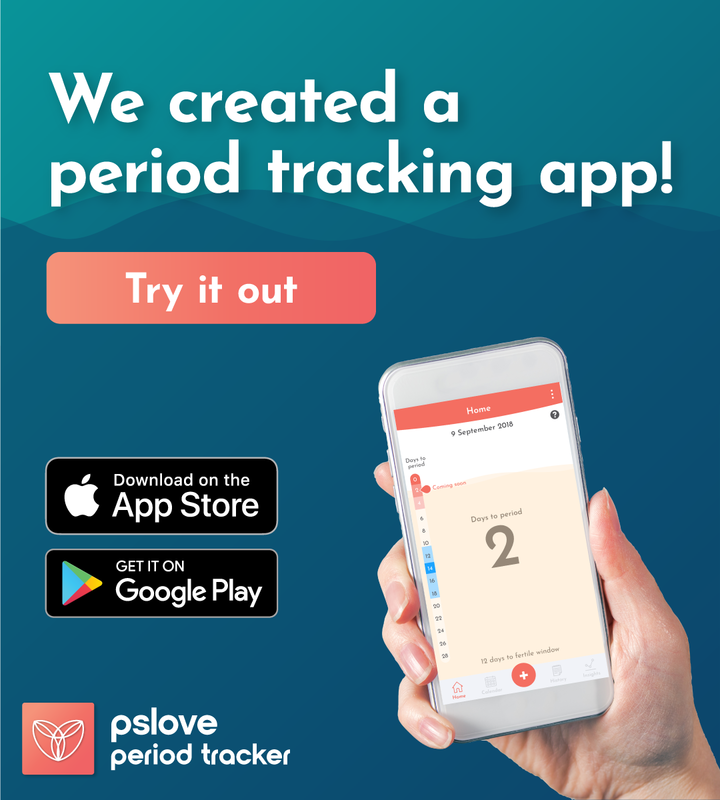 This experience really opened my eyes up to the joys of tampon use, I don’t know why or how it took be so long to jump on the bandwagon, but I’m on it now, and I don’t foresee myself getting off anytime soon (better late than never, right?)! 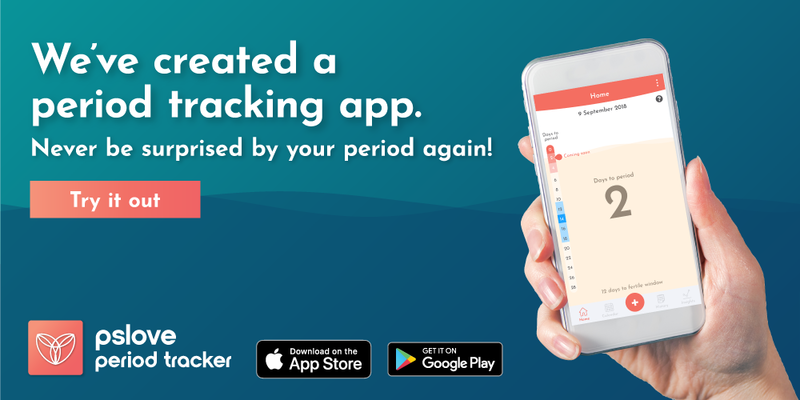 Tampons provide all the protection without any of the fuss, or concern about leakage, and you won’t get that clammy feeling you get with pads too! This was honestly one of the easiest periods I’ve had in a long time, and I have these tampons to thank for that! Hi, I alway encounter stain either front or back on my pads. Will like to switch to tampon after friends advice. With so many brands around I do not know which suite me. Also if with tampon do I still have to wear pads please advise. Thanks. Hello! You do not have to wear a sanitary pad if you’re using a tampon. For beginners, it is recommended to use a tampon that has an applicator to help with the insertion! You can try the different brands to see which you would prefer 🙂 An alternative to tampons would be menstrual cups! You can read about menstrual cups here.